Growing up in the Great Northwest, I was exposed to hunting at an early age. I quickly became addicted to archery hunting for Roosevelt Elk. These Elk are not only huge but they are tough and it made me want to shoot the heaviest and fastest arrows I could. Back in the early 90’s I was a young big guy and I had way more brawn than brains and my bow was the proof. I had a custom built 98lb PSE with a 32” draw. This bow was great for hunting elk but it was horrible for practicing because I could not stop the arrows effectively. I was ruining arrows almost every night while practicing, even when I hit what I was aiming at. My young wife was running short on patience as she watched me practice nightly and ruin arrow after arrow. It was getting to be expensive and she was upset at the money I was spending on arrows. This inspired me to start developing the first RangeMaster Target. It took me a couple tries to come up with the perfect combination but I eventually got the process dialed in. I was now shooting into a reliable target that was not only stopping my arrows without damaging them but I had also eliminated pass through shots. The more people shot into my target the busier I got on the weekends making them targets. Finally it just got to be too much and I decided to buy some more equipment, lock down my patents and make targets full time. With the dramatic improvements in archery technology today’s 60lb-70lb bows are the equivalent if not more powerful than my bow back then. This makes it difficult to find a long term durable target that can stop today’s fastest heaviest arrows. I am glad that we have stuck with making targets over the last two decades because now we can bring these high quality targets to everyone. 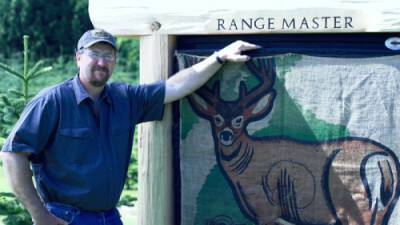 We have sold thousands of RangeMaster 48 targets in the last 20 years and we would love for you to have one as well. Thanks for looking into our RangeMaster Targets by ArroLast. We at Oranco Bowmen have utilized the RangeMaster 48 for over a decade. 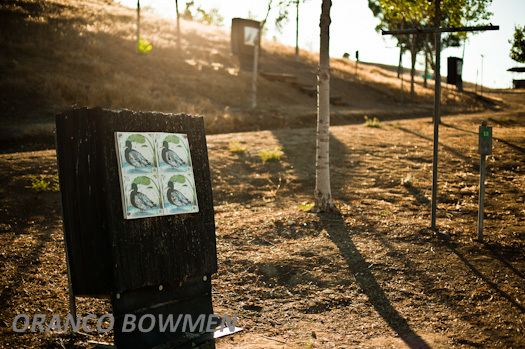 We have one of the largest archery ranges in southern California and our club is 400 members strong. 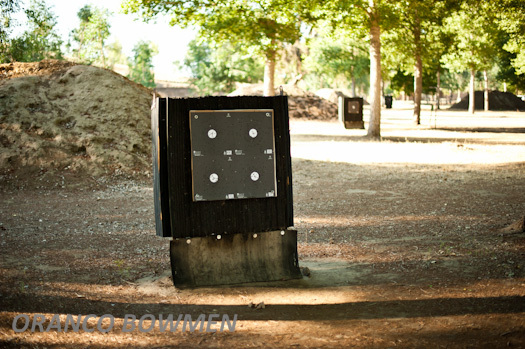 We put approximately 200 shooters per week through the range. 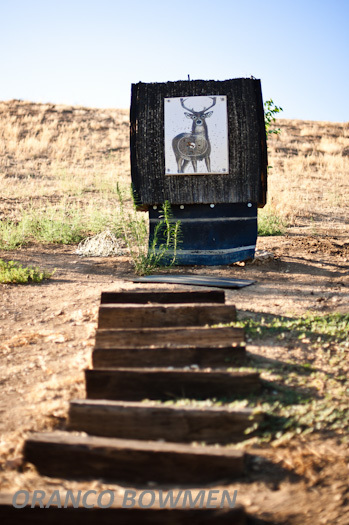 The Arrolast Target System has been far and away the most durable and maintenance free, sustaining the weekly heavy duty use of a full on field range. We have fifty six of the RM 48’s on our target roving field ranges and twenty three of the RM 48’s in our practice area that spans from 10 to 80 yards. We are seeing 7 to 8 years of life out of the RM48’s on the practice range and 10 plus years out of the roving range targets. 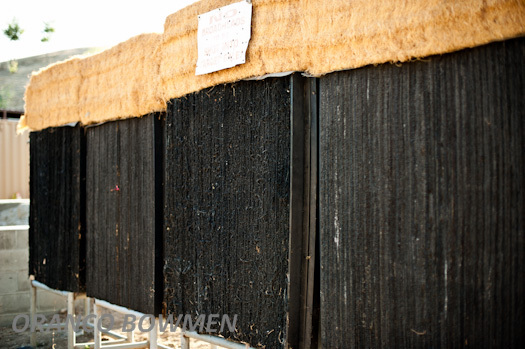 The quality of the product is excellent and requires nothing more than rotation every couple of years. My buying experience from Arrolast Target Systems has been very professional. Dan and Rhonda Mann are courteous, friendly and attentive to details. All of my questions were answered promptly and the order was filled as quickly. I arranged for my own pickup and Dan and his team were right on the spot to help with loading and shipping. I could not have asked for a more professional experience in purchasing big ticket archery equipment. Oranco Bowmen will be a customer for a long time to come.